Product prices and availability are accurate as of 2019-04-17 09:06:59 EDT and are subject to change. Any price and availability information displayed on http://www.amazon.com/ at the time of purchase will apply to the purchase of this product. Please check your TV's component video input specifications. 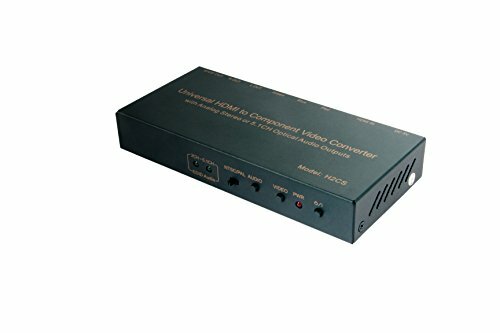 Most TVs (including HDMI 1080P TVs) can only support component video input of 1080i. For example, per our lab observation, Sony and Panasonic 1080P TVs with HDMI inputs only support component video input up to 1080i; Toshiba and LG 1080P TVs can support 1080P component video inputs, if you can get 1080i video, but no 1080P video, then it means your HD TV does not support 1080P from its component input (even if your TV is 1080P, it is just good for 1080P from its HDMI input), not because this converter unit does not support 1080P output. 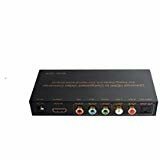 If you want to get 1080P video from the component input, please check to make sure your HD TV can support 1080P BEFORE purchasing this item. 1) Connect cables and power adapter. Make sure to match the colors for analog connections. 2) Power on the converter. Set the NTSC/PAL switch, for North America system, please use NTSC setting. 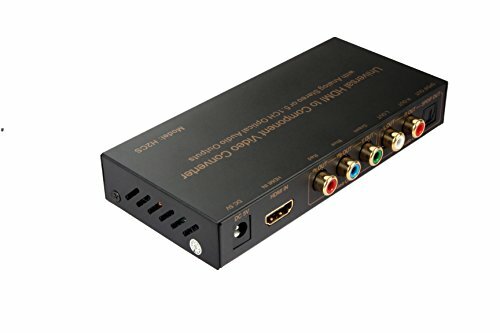 Set the audio 2CH or 5.1CH switch using the audio button, for 5.1CH application, use the optical output to connect to an AV receiver. 3) Use the Video button to pick the best output format for the display. If the converter's 1080i output works, but the 1080P output does not work, it means this TV does not support 1080P signal from its component video input, even if this TV is capable of 1080P. 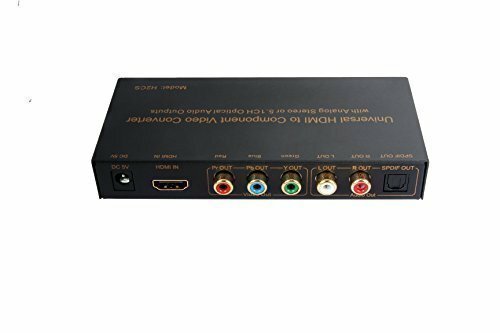 Many 1080P TVs only support 1080P from their HDMI inputs. 4) If there is any video noise observed, please use the video button to reset the select video format and wait at least 5mins for the unit to be trained to adapt to the selected format, this only applies to the first application in a particular setup. Do make sure to use quality component video cable to avoid crosstalks and signal degradation. 5) The product comes with one year warranty, please contact the seller for warranty application.